Monday morning we were happy to see our our old friend Dr Rebecca Jacob, newest president of the Indian Association of Pediatric Anesthesiologists, heading across the red carpet. 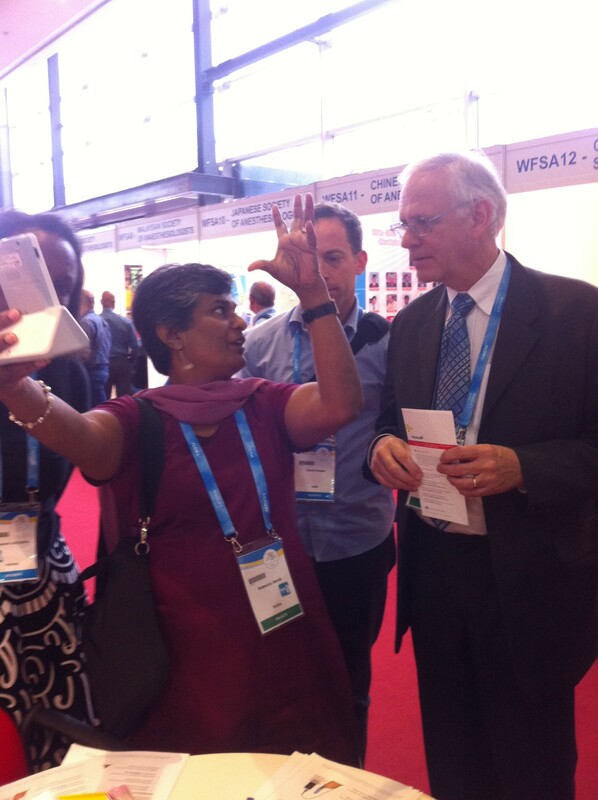 She brought along the WFSA paediatric committee to say hi (and give a high-drama demonstration of the oximeter!). 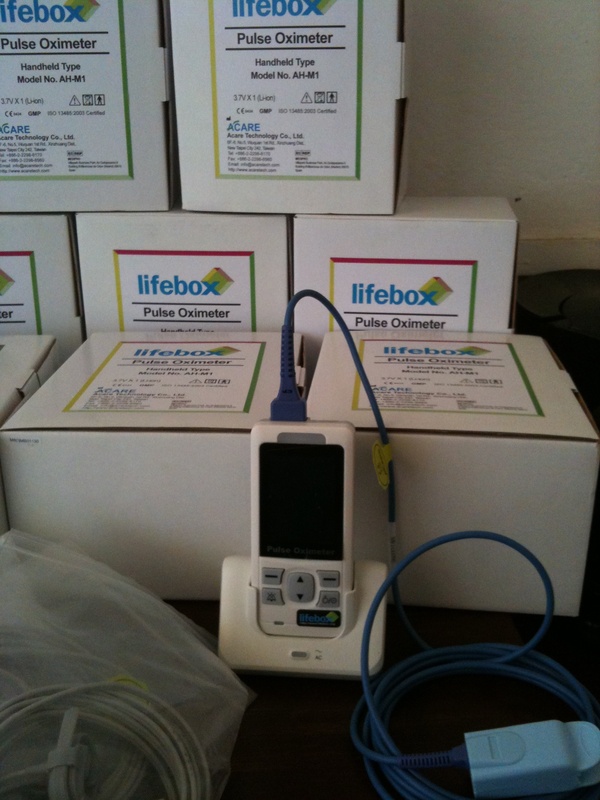 They reminded us about how important it is to have a neonatal probe for sats monitoring of the smallest patients, and they’re right – so we’re reminding you in turn that Lifebox offers a neonatal wrap probe for just US$25 (no shipping fee, when you buy at the same time as the oximeter). 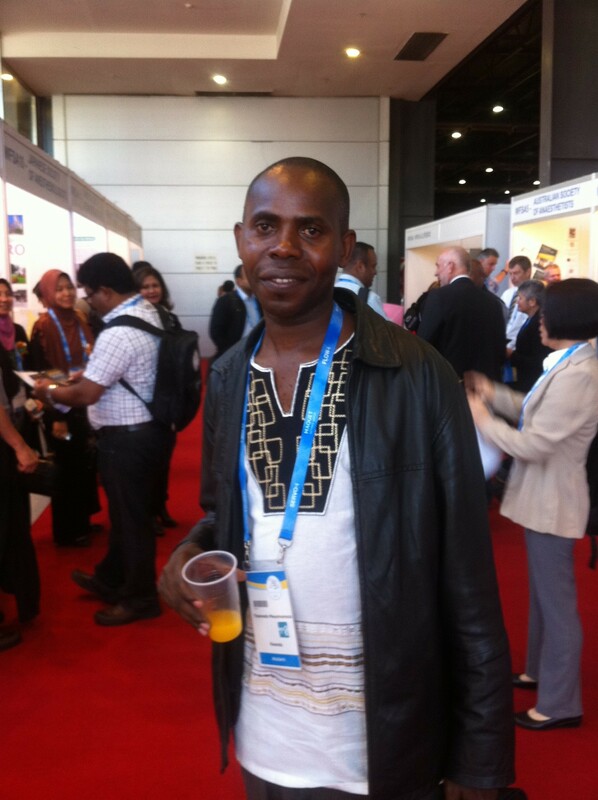 Hot to follow was Dr Mwumvanera Theoneste, an anesthesiologist from Kigali University Teaching Hospital (CHUK) in Rwanda. Dr Theoneste is working with our colleagues at Harvard and the Canadian Anesthesiologists’ Society on a long-term project to deliver oximeters and WHO Surgical Safety Checklist training across the country. It’s a vital, multi-partner undertaking that we’re thrilled to be a part of, and we’ll keep you updated as the year progresses. Another project we’re excited to tell you about has been brewing cross-continent since the American Society of Anaesthesiologists conference in Chicago last year. When the Department of Anesthesiology at the University of Florida presented a (giant!) cheque for $33,700 for Lifebox, we took a gameshow-style photo and then got down to business. Dr Kayser Enneking, head of the U of F department and Dr Carolina Haylock-Loor, president of the Sociedad Hondurea de Anestesiologia, Reanimacion y Dolor (SHARD) met at the WCA this week for the first time. In an English and Spanish medley, we put plans in motion for a training workshop later this year. Another project we’re excited to tell you about – and another – will have to wait until after lunch. I see a blue laynard! we hiss, subtle as neon, hopping out into the sunshine across the cobbles and following our subjects in to the courtyard at La Rural convention centre, for the 2012 World Congress of Anaesthesiologists. 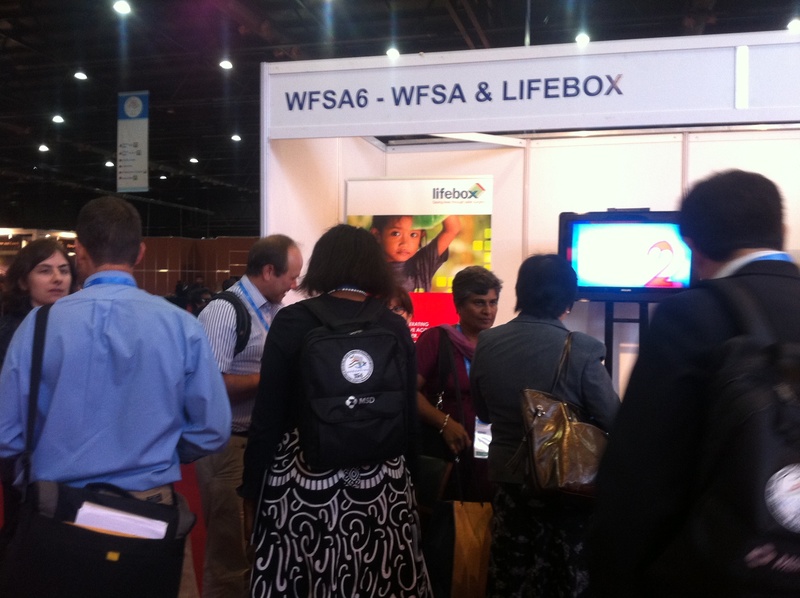 Usually Lifebox oximeters go out to the world – more than 1600 distributed in 48 countries so far – but this week the world is mustering in one place and we’ve come to join, as the official charity of our host and co-founder, the World Federation of Societies of Anaesthesiologists (WFSA). We’re here to meet the anaesthesia providers and societies helping us in the Lifebox mission to Make It Zero, and learn more about the countries we hope to be doing more work with. On Sunday the exhibition hall was still a construction zone, and we unfurled our banner in the ghost town of the WFSA networking zone. But by 9:30 a.m. on Monday morning ghosts were giving themselves up, as more than 9000 delegates shouldered WCA backpacks and set out across the exhibition centre. Todo el mundo está en casa! Last week we joked about the Oscars, but forgive the flippancy, because this week we really do feel a little star struck! So many celestials of the Lifebox constellation – our colleagues across seven continents, who teach, fundraise and research on our behalf – have blazed across to BA, and it’s a strange feeling to find them all under one roof. Stay tuned to hear about our conversations! 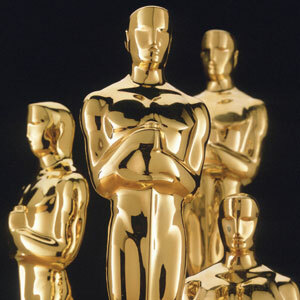 They kick up enough fuss about the Oscars and those things roll around every 12 months. At Lifebox we’re much more excited about the World Congress of Anaesthesiologists (WCA), which takes place on an exclusive four-year basis. And suddenly WCA 2012, hosted this time in Buenos Aires, Argentina, is less than a week away! 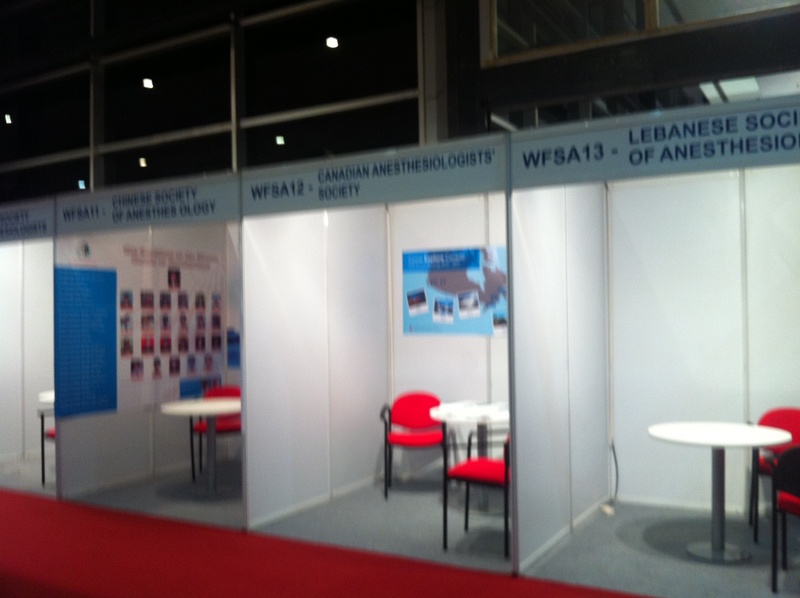 The congress, organized under the auspices of our co-founding partner the World Federation of Societies of Anaesthesiologists, held its last meeting in Cape Town, South Africa in 2008. It was a big one for Lifebox – we just didn’t know it, as we didn’t yet exist. An updated draft of the 1992 International Standards for the Safe Practice of Anaesthesia, revised as part of the World Health Organization’s “Safe Surgery Saves Lives” Global Patient Safety Challenge, was submitted, refined and adopted. These standards elevated pulse oximetry to the highest level of recommendation, making its use, in effect, a mandatory standard of care. This decision – that pulse oximetry was essential to safe anaesthesia and safe surgery – was quickly followed by the question of how to make it available worldwide, how to ensure that geography was not a barrier to essential equipment. The Global Pulse Oximetry Project was born, and out of that, Lifebox. But that’s really a story for another day. We just wanted to let you know that Lifebox will be making a splash where it all began, launching our global Make It Zero campaign to put 5000 oximeters in the hands of anaesthesia providers who need them in the next two years. We’re also excited because, to be honest, it’s a pretty special event – representatives from every national anaesthesia society around the world come together to set global standards, pore over recent clinical and practical developments, talk, and learn. 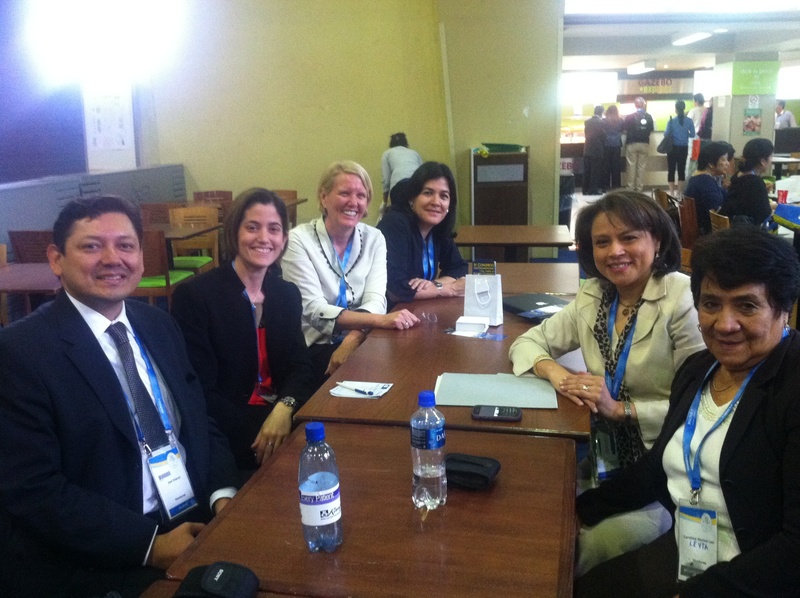 You can follow us at the conference on Twitter @safersurgery with the hashtag #WCA2012. Did you know that a nursing unit manager in South Africa performs on average 36 different activities an hour? Multi-tasking may be a modern affliction, but for nurses – particularly those in low-resource settings – it is a life-saving skill. With medical degrees overwhelmed and under-represented, it is the nurses, generally the largest group of skilled workers in any healthcare system, who deliver a majority of frontline care. That scheduling insight, from a study delivered by Professor Laetitia Rispel (‘Today was a hectic day: exploring the average working day of nursing unit managers in South Africa’) – is just one of the things we learned at the Inaugural Commonwealth Nurses Conference, supported by the Royal College of Nursing in London this past weekend, where Lifebox was lucky enough to be invited to exhibit. We’re used to hearing stories about the miles that medical professionals will travel for equipment, education and community support. But we don’t often get to meet them. 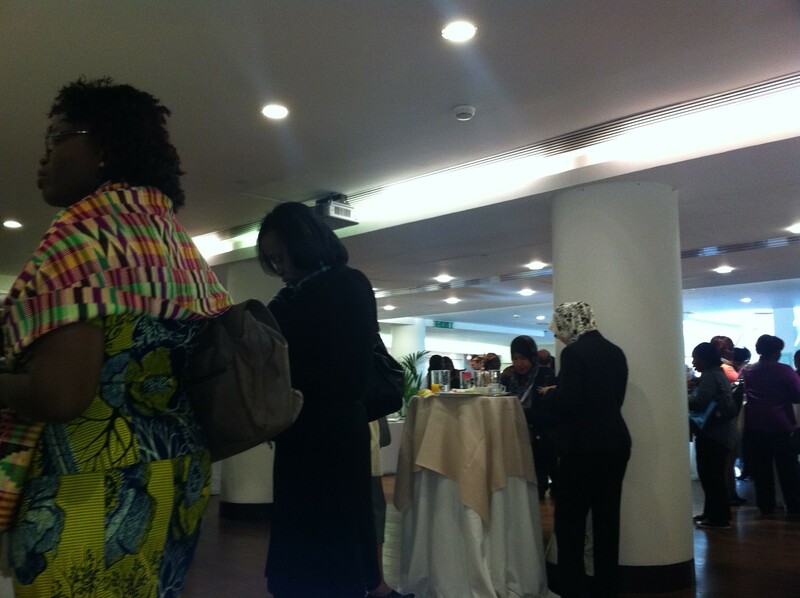 So it was a real pleasure to walk around the room at the Commonwealth Club and talk to some of the 180 people who had traveled from 27 of the Commonwealth countries to London for the occasion. 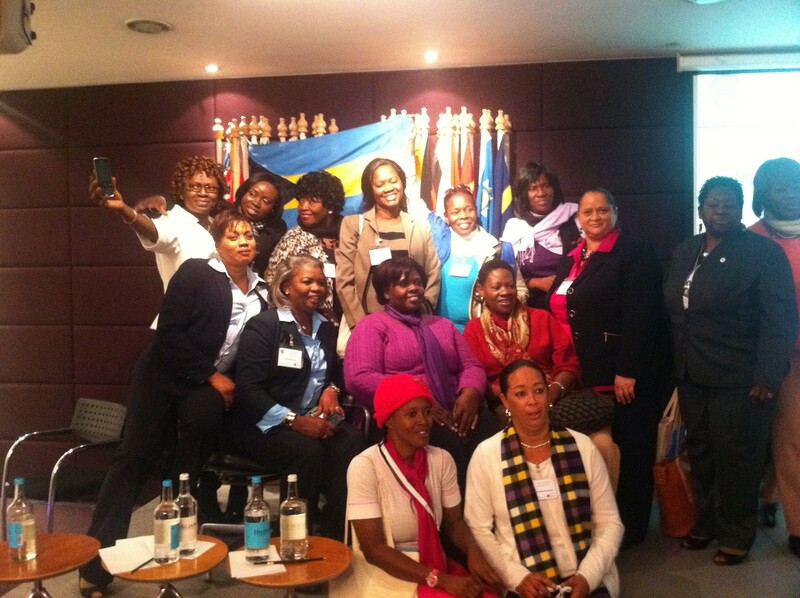 Over the two days we joined sessions on meeting the health-related MDGs (both “Challenges and the way forward” and “Caribbean style”); reducing maternal and neonatal mortality by scaling up midwifery education; the use of information technology in hospitals in Cameroon and many more. Talks were delivered in a range of accents and fabrics that spoke something to the breadth of cultures and nations that make up global healthcare, and strive alongside each other to improve it. As though to underline this point, THET trustee and past president of the RCN Maura Buchanan spoke about the difference we can make to global health through established partnerships – the reciprocal transfer of skills and knowledge stretching beyond individual scope to encompass whole institutions, that THET has encouraged for 20 years. 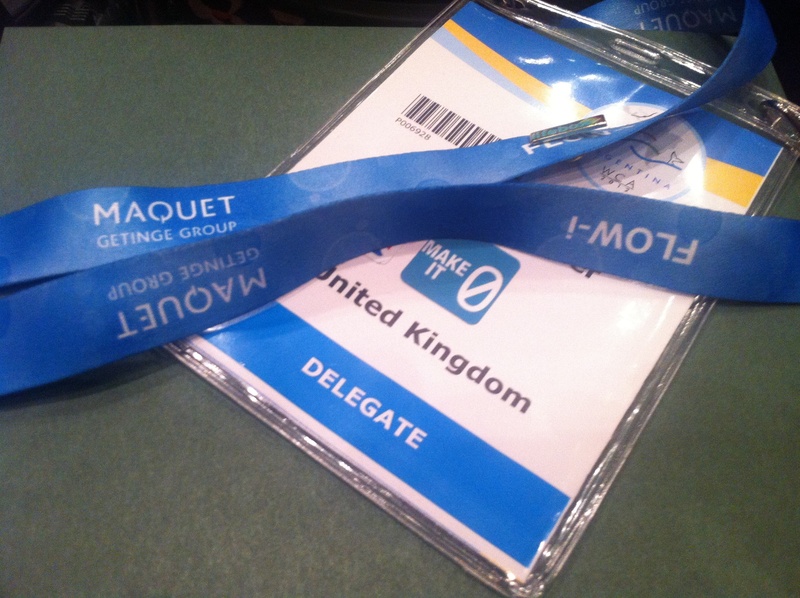 Some delegates we spoke to were from countries with widespread pulse oximetry use; others from countries where a finger on the pulse is all the monitoring that is available. But all of them were confident about the value of an oximeter. The late Dr Vincent James Hughes was a Canadian anesthesiologist who dedicated his professional life to improving anaesthesia care worldwide. 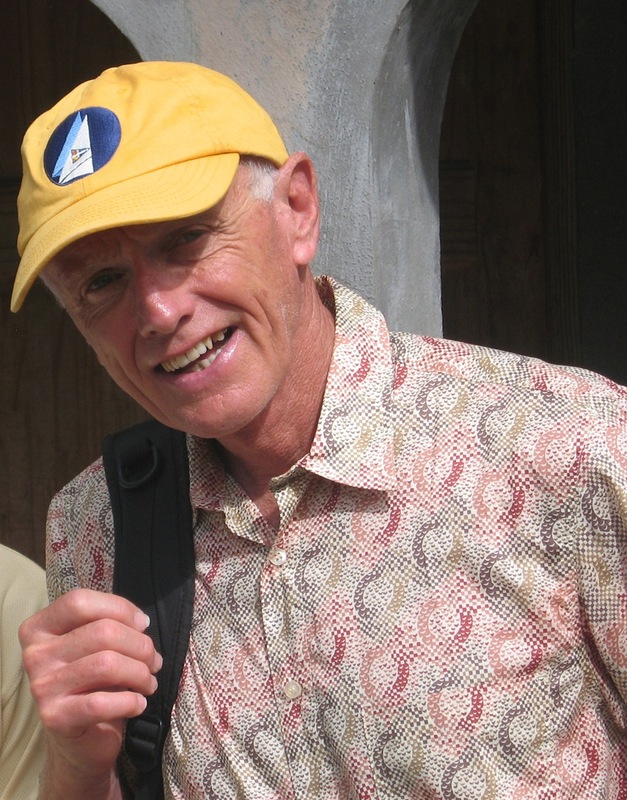 He spent ten years working in the West Indies; ten as a physician-anesthesiologist in Zimbabwe, and ten back home at St. Michael’s Hospital in Toronto, where he continued to support outreach programmes in low-resource settings. By force of dedication, compassion and example, the beloved member of the St Michael’s anesthesiology team has continued to make a difference to surgical safety in low-resource settings since his sudden death last year: recently his colleagues raised funds for the purchase of 39 oximeters in his memory. “I thought it would be three or four – but the department said absolutely, we must do this, but in a way that shows how important Vince was to all of us,” explained Dr Patricia Houston, Vice President for Education at St. Michael’s, who proposed the tribute. Every single member of the physician faculty donated, and their generosity has contributed to the enormous success of the Canadian Anaesthesiologists’ Society drive to send enough oximeters for every operating room in Rwanda. 268 oximeters have been paid for so far, and today the first 50 are being sent out to the University Central Hospital of Kigali. 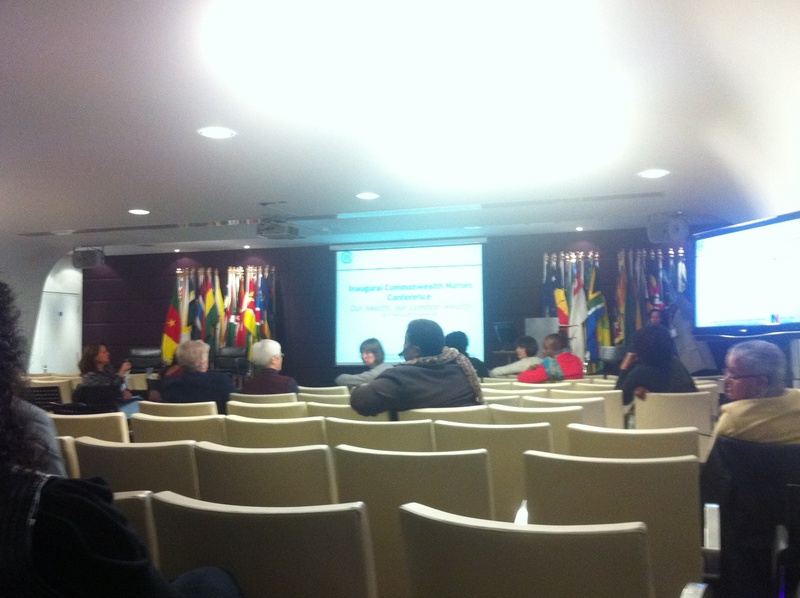 You can read more about their success on the website of the Canadian Medical Association.